This question is at the forefront of every buyer’s mind when buying an electric bike, or electric bike conversion kit. The short answer to this, is that if you are lazy, don’t pedal, and put the kit on a poor quality bike, then you won’t go very far even with a motor and battery. However, if you put a motor and battery on an efficient bicycle, then you could go 30 miles or more without breaking a sweat. Increase your pedal power and mechanical input and you could easily go 50 miles without too much effort. There are so many variables that determine range, that it is not straightforward to answer the question “how much range will I get”? At least, not if you want the answer in miles. However, as we will explain, it is very easy to tell you your range in hours. We can’t really tell you how many range in miles you will get, because it depends so much on the bike you put the kit on, the type of terrain you are cycling on, and how much you pedal. What is easy to tell you, is for how long in time will you be able to run the motor for. That’s simple and just depends on your battery capacity. A 250W motor at 36V draws about 8A or current. So that means that in one hour it will use 8 amp-hours (Ah) of charge. So an 8Ah battery will last you for one hour. Similarly if you use it at half power (4A) then it will last you for 2 hours. We have put together a table below giving you indicative range in hours for the different battery capacities that we sell, at different power levels. If you really want to be given a rough indication of how much range you will get, then OK, we can give you an estimate. Let’s assume you are able to cruise at 15mph on average – we can convert the times above into rough distances. Remember – if you are using the motor on low power, then you will need extra pedal power to keep up the average speed of 15mph! Hills: Going up uses a LOT of energy, so adding in hills to your commute makes a big difference. 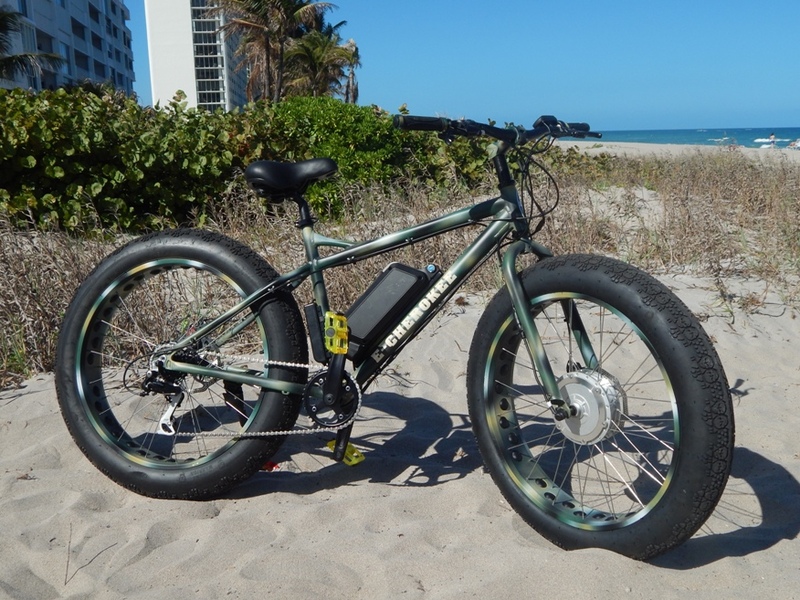 (Unless you have regen braking, check out our blog here on the pros and cons of regen: Regen braking on eBikes is it worth it?